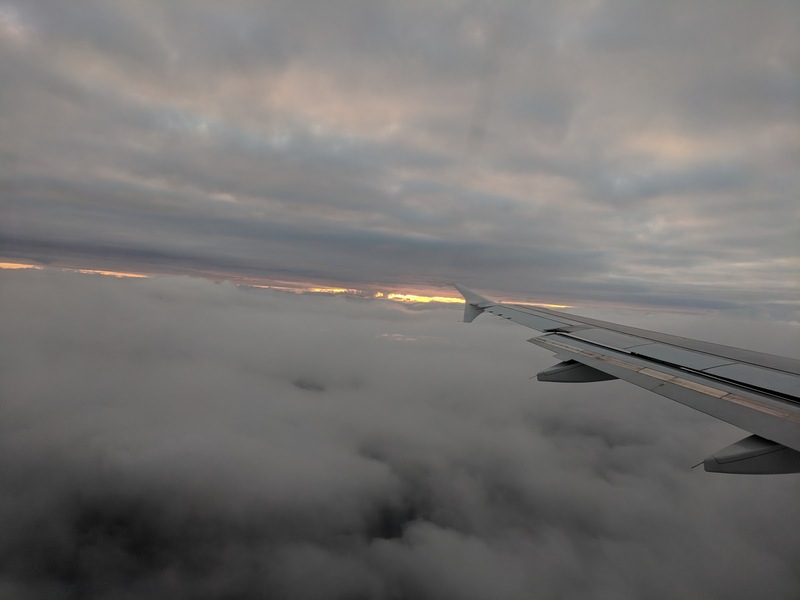 No signs of inclement weather, just very low ceiling as we're on final approach to Copenhagen. 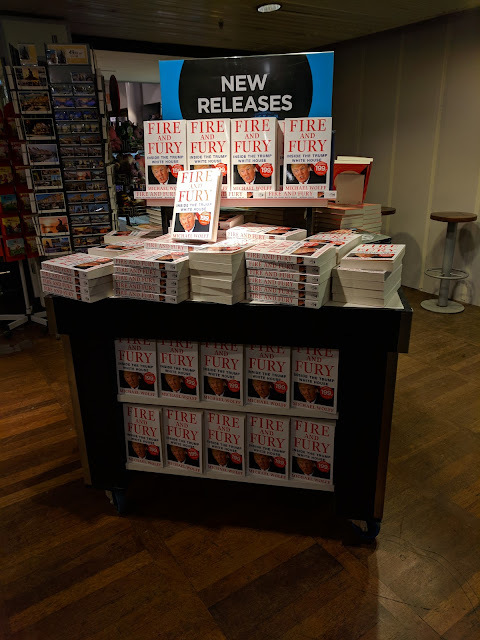 I'm amused about the size of the "Fire and Fury" display at WHSmith's. 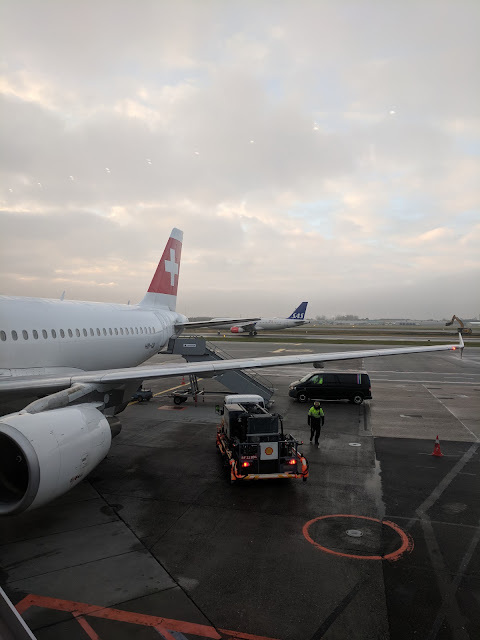 I get to hang out at the airport for a couple hours before it's time for the long-haul flight to San Francisco. so schön, dass ihr hier ward.